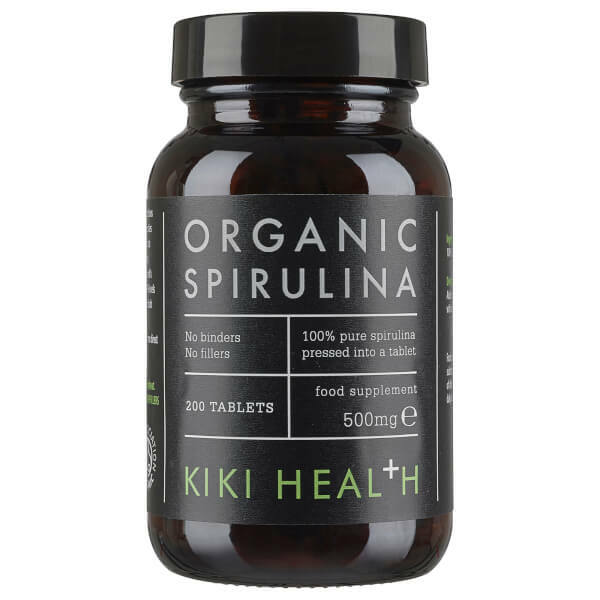 KIKI Health Organic Spirulina Tablets are 100% raw; the powder is ground from a strain of Spirulina organically grown on a peninsula surrounded by natural forests and compressed into tablet form. 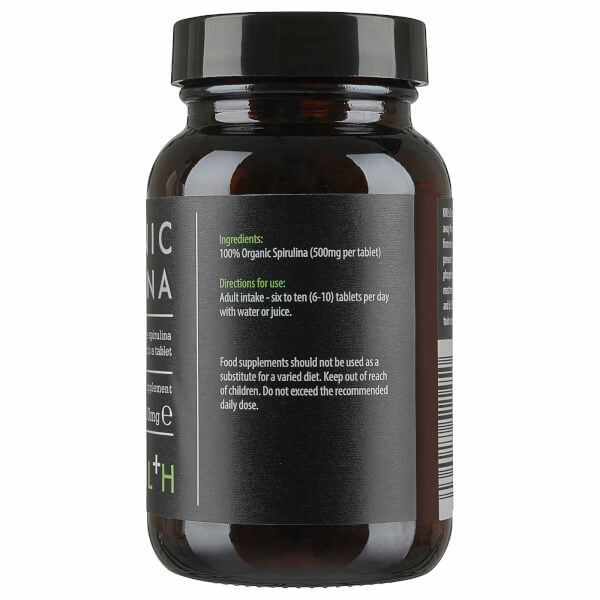 Contributing to healthy muscles and bones, the organic food supplement is composed of 100% pure Spirulina powder that is naturally high in protein and nine essential amino acids; it provides the body with Calcium, Iron and Vitamin B12 to help maintain normal bones and cognitive function whilst reducing fatigue. Carefully dried at low temperatures in a drying chamber, all moisture is removed through evaporation which preserves nutrient content. 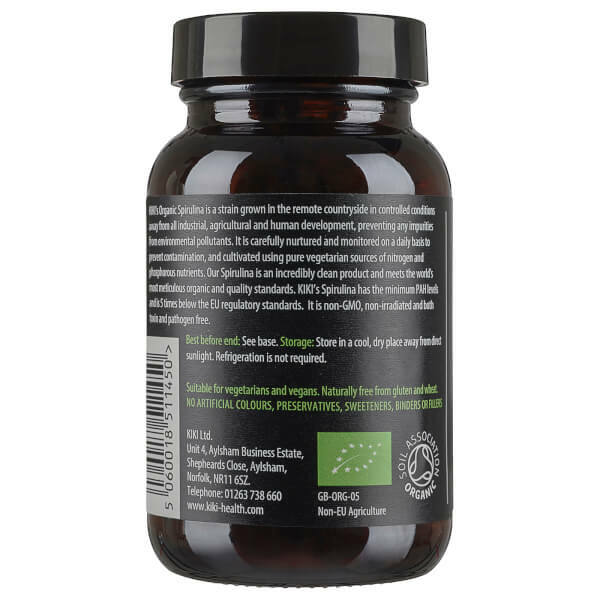 The Spirulina powder used is routinely tested for mercury, lead and other contaminants to ensure it's pure and clean. Organic Spirulina (500mg per tablet).